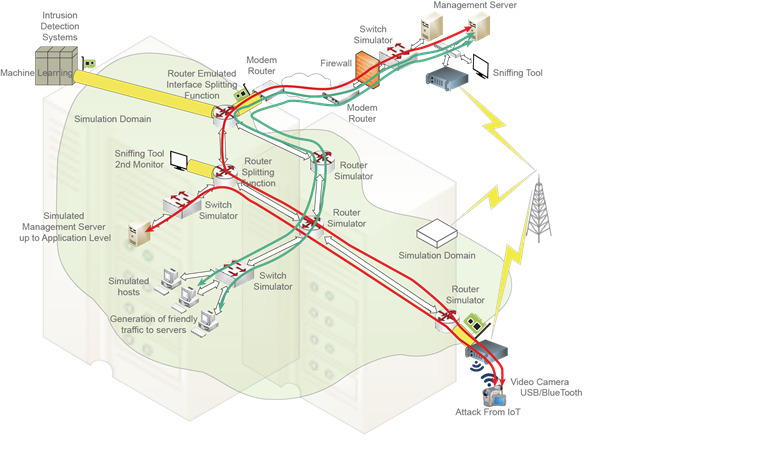 A machine learning system gets data from the simulator through a virtual interface of the router simulation model. The balance virtual devices, in the simulation domain, will be purely virtual. This is the way real traffic will 'interact' with 'virtual' traffic inside NetSim, undergo network effects (delay, loss, error etc) and then head out from NetSim again into the real world. A pcap capture was logged from the 'virtual router' in NetSim.